None of this sits well with Rachid Nekkaz, who is fighting the ban by taking out his checkbook. The businessman, who is of Algerian descent, has so far paid the fines of three women who violated the ban and has also offered to help other people who are victims of this law. He also argues that this kind of extreme legislation might provoke people to embrace the very kind of radical thinking and behaviors they’re hoping to curb. “This sort of politics, these types of decisions, which do not respect fundamental liberties, will create new clients for the Islamic State [ISIS],” he said. What is most confusing about the ban, or at least Lisnard’s explanation of it, is the notion that wearing a burkini is an automatic reference to an “allegiance to terrorist movements.” That’s akin to saying wearing a “Make America Great Again” hat means you’re broadcasting support of the Ku Klux Klan, which we know isn’t necessarily true. 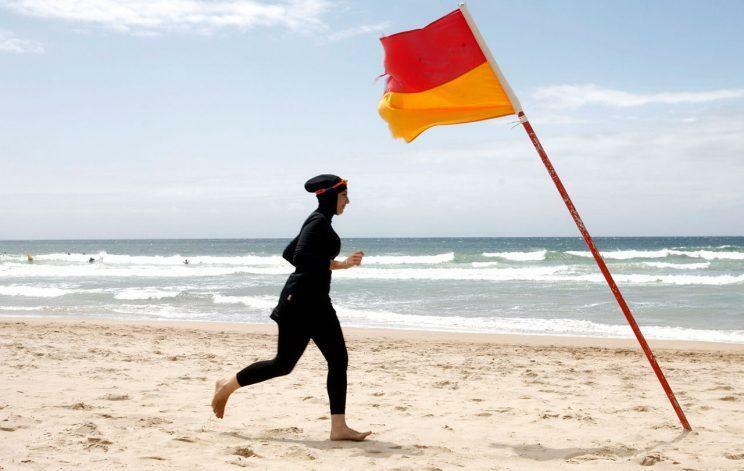 Maybe Muslim women want to enjoy the beach in whatever attire they feel most comfortable in? Shouldn’t they be allowed to do so in a country that considers liberté, egalité, and fraternité as its national values?